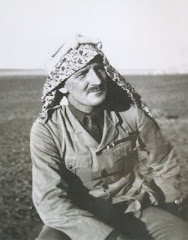 Without the personal donation to the Imperial War Museum (IWM) of Major Herbert Garland’s papers by his late daughter, Mena, the latest publications on the 1916 Arab Revolt in the Hejaz, and of T.E. Lawrence’s participation in particular, would have been bereft of fresh and exciting information that has undoubtedly added to our understanding of the minutiae of the war in the desert as well as bringing out of the shadows a little known personality that has since joined the ranks of Lawrence’s desert raiders in his own right. 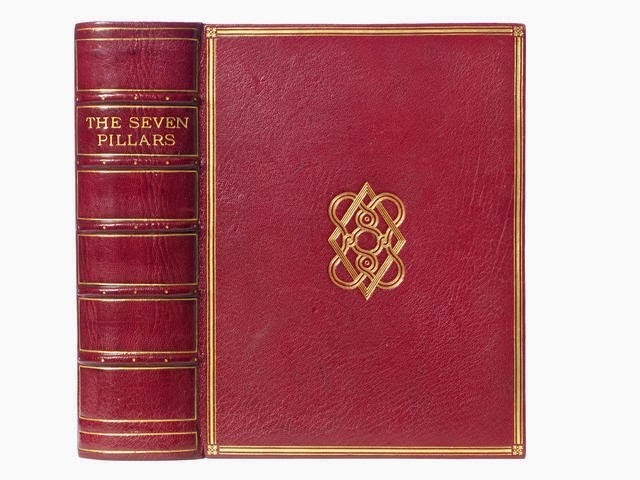 The matter of Colonel Stewart Newcombe’s books and papers going under the hammer at Bonhams on 19 March 2014 has also raised the hope that an academic establishment or library such as the Huntington Library in California or ideally the IWM in London might stump up to purchase the papers in order for future researchers to be able to benefit from their public accessibility. 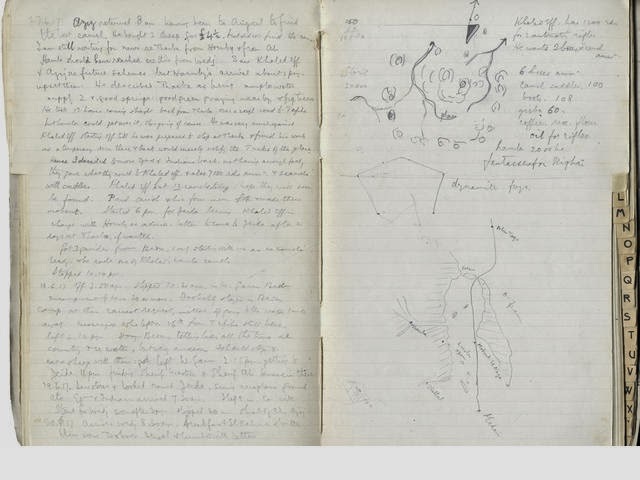 At a list price of somewhere between £20,000 – 30,000 plus buying costs, the collection of papers from two Army Field Service Correspondence Books, incorporating Newcombe’s Hejaz diary as well as carbon copies of letters, does not come cheap. Like Mena Garland, Lawrence was also keen to support the IWM and personally donated several items during his lifetime. The story behind Lawrence’s photographic collection at the museum is an interesting one and illustrates the complex and often fraught negotiations that he encountered when in the year before he died he attempted to make a donation of prints and negatives taken during the Hejaz campaign. During these final months of his life we also see how Lawrence’s fame continued to be a burden to him in ways that will resonate with the lives of modern celebrities. In the process of researching and writing the biography, ‘T.E. Lawrence’ In Arabia and After, Captain Basil Liddell Hart had gathered together a large collection of negatives and photographs of the desert campaign in the years leading up to the publication of his book in March 1934. These had been personally donated by Lawrence who also assisted in the content of the book in a series of question and answer letters and in private conversations between subject and writer. Shortly before publication Liddell Hart raised the question of what to do with the collection which had grown in size over a period of sixteen years since the end of the war. Liddell Hart suggested placing them with the Imperial War Museum, which had moved in 1924 from its original site in the Crystal Palace to its then current location in two galleries adjacent to the Imperial Institute on Exhibition Road, South Kensington. Lawrence, who knew the Curator, Charles J. ffoulkes, and had often visited the Museum at its Crystal Palace address, proposed making a final decision after the book went to press. Lawrence’s earliest meeting with ffoulkes can be traced back to Oxford University when Lawrence was a student attending lectures given by ffoulkes, an acclaimed expert on mediaeval armour and weapons. ffoulkes went on to become Curator of the Tower Armouries in 1913, and in 1917 was appointed the first Curator and Secretary of the National War Museum, established with Cabinet approval in the midst of the Great War as a record of the nation’s effort and sacrifice. By the time the Museum was formally opened in 1920, the ‘National’ element had been dropped in favour of the more far-reaching ‘Imperial’ description in recognition of the supreme contribution to the war by Britain and her Empire. 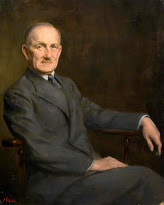 Lawrence’s friendship with another museum personality, Edward T. Leeds, Assistant Keeper at the Ashmolean Museum in Oxford, produced a significant collection of letters spanning many years. In a letter to Leeds dated 15 December 1917, written from Cairo, Lawrence exclaimed, ‘Commend me to ffoulkes...I’ve got a trophy he would like for his War Museum.’ This was a regular Lee Enfield .303 rifle (SMLE) that possessed quite a history. It had originally been taken by the Turks from the British at Gallipoli, one of four rifles taken as war booty, as the inlaid gold Turkish lettering damascened onto its receiver chamber indicates. It was subsequently acquired by Prince Feisal – one of the four sons of Sherif Hussein of Mecca who each received a rifle - who in turn presented it to Lawrence. It is inscribed on the stock T.E.L. 4.12.16, presumably the date he received it, and in time he cut five notches near the magazine, each denoting a Turk killed. Originally, he was trying to get Zeid’s rifle for the Museum (Hussein’s fourth son), while Abdullah’s had been presented to Ronald Storrs, the Oriental Secretary of the British Agency in Cairo. After the war, Lawrence presented his rifle to H.M. King George V who in turn gifted it on loan to the Museum, as originally proposed by Lawrence. A remarkable gilt bronze wreath that Kaiser Wilhelm II had placed on the tomb of Saladin in Damascus and was later ‘looted’ by Lawrence, ‘as Saladin no longer required it’, was also bequeathed to the IWM. It was left to ffoulkes to fend off complaints from anonymous letters threatening Lawrence and himself for this piece of iconoclasm when photos of it appeared in the press. When Liddell Hart’s book was published in March 1934 it generated renewed interest in Lawrence as well as the inevitable intrusion from the ‘press-hounds’. Questions were raised by the title of the book, with the press alerted to a further mystery by the inverted commas placed around Lawrence’s name causing considerable speculation as to what was Lawrence’s ‘real name’. Both author and subject had ridden close to the wind on their decision to make a point out of the fact that ‘Lawrence’ had as much claim on his identity as had Ross or Shaw. It would simply take a determined look through Debrettes to make the connection between Sir Walter Raleigh and the Chapman family of Ireland and thus unravel the family secret. The publicity surrounding the publication of Liddell Hart’s book also renewed interest in a film project based on Revolt in the Desert, adding to Lawrence’s anguish over his impending retirement. By early May Lawrence was writing, ‘I’m tired. I want to get away and be at peace, so badly. That is what defeat means.’ This state of depression could have easily overwhelmed him if it was not for the solace of Clouds Hill, a ‘hushed green place, noisy with birds only, and fertile only with weeds.’ This is where his books were, twelve hundred of them, each read at least once and worth reading again, and a gramophone to play music on. It was to be his refuge, a sanctuary from fame. 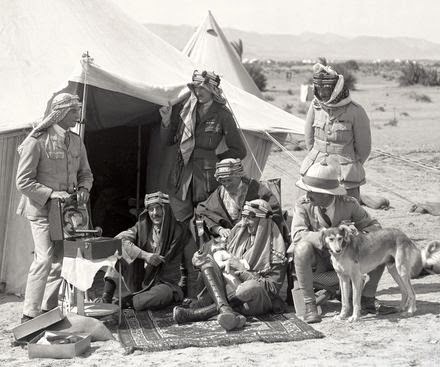 The Lawrence Collection that Liddell Hart was instructed by Lawrence to deposit with the IWM in 1934 consisted mainly of those photographs relating to the war years in the desert campaign spanning the years 1916 to 1918 and originating in the Hejaz in support of the Arab Revolt initiated by Sherif Hussein of Mecca in order to overthrow Ottoman control, with Damascus as its ultimate goal. 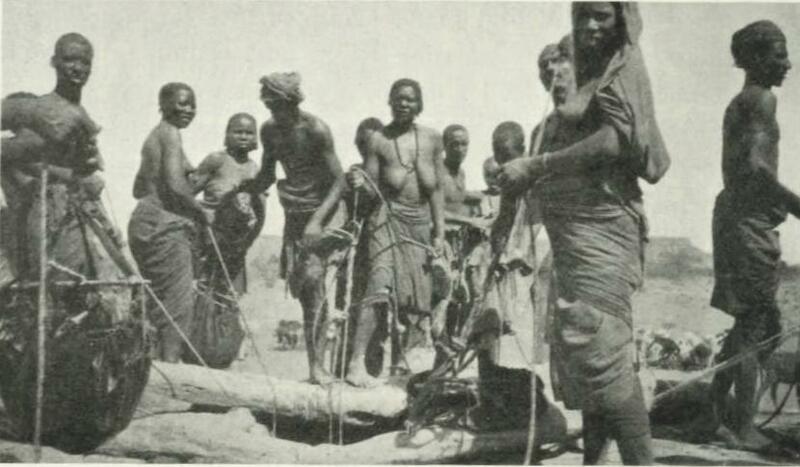 Other photographs were taken before the war and others during the 1921 Cairo Conference. The complete collection at this time amounted to a little over 1500 negatives and plates. 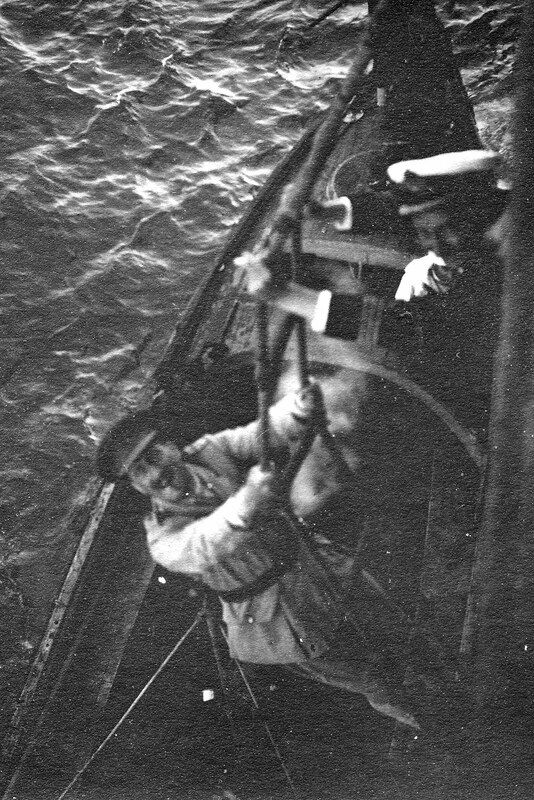 On 15 March 1934, Captain A.J. Insall, a former RFC officer and latterly Keeper of the IWM Photographic Archive, went personally to Liddell Hart’s London residence at 60 Gloucester Place to collect the photographs. Despite the increasingly cramped conditions of its South Kensington location, the Museum was extremely pleased to take receipt of such a significant and historically important gift. However, before they could plan to do anything with it there were a few points of ownership to consider, at least while Lawrence was still alive. A standardised assignment form drawn up by the Treasury to clarify ownership of gifts and copyright was sent through Liddell Hart to Lawrence for his signature. 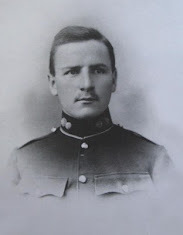 The following day, Insall sent Liddell Hart a personal note of thanks ahead of a more formal appreciation from his Trustees adding, ‘If the opportunity offers will you please tell Col. Lawrence how grateful the Trustees are, though he will no doubt not wish to have any fuss made about it’. Before matters could be finalised it seems a clause in the assignment form was causing some confusion - the setting of a value of £500 on the collection with full reproduction rights. As Liddell Hart was quick to point out, there were ‘a number of American millionaire collectors who would be willing to give a sum exceeding £500 for this collection’. It seems that this was not the first time that the legend of Lawrence of Arabia had played into the hands of unscrupulous individuals, many of them women, who threatened him in writing to reveal that they had been taken advantage of in some way. Letters of this sort often resulted in Lawrence calling in the police when the accuser grew too urgent in their demands. In this case, however, no letter had been sent, ‘so I can't well do that, now... can I?’ he said. Eliot demanded that Rogers list all the people he had deceived. The hapless man reeled off a list and stammered that he had never attempted to do anything dishonest and held Lawrence in the highest respect, always trying to live up to his name. A signed confession ended the matter. During the run-up to unmasking the imposter, Liddell Hart had visited Lawrence who was seeing out the last few months of his RAF service based at the Marine Aircraft Experimental Establishment, Felixstowe, although in reality he was never there for very long, having a roving brief to oversee the construction and testing of high speed rescue vessels. Among other matters, Liddell Hart discussed the assignment form. After Lawrence read the copyright clause he flatly refused to sign anything that would give away his rights to the collection and further would not allow any photographs to be reproduced during his lifetime without his specific permission, although he was quite willing for the Trustees to deal unreservedly with the collection after his death. There the matter lay for the time being. Meanwhile, Insall pushed ahead with the collection in hand and on 10 July 1934, he was at last able to inform Liddell Hart that he had had the bulk of the Lawrence prints mounted and they were now ready for inspection. He hoped that both Liddell Hart and Lawrence could spare the time to amplify some of the pencil notes on the back of the prints into accurate photo captions, especially as some of them were in Arabic. 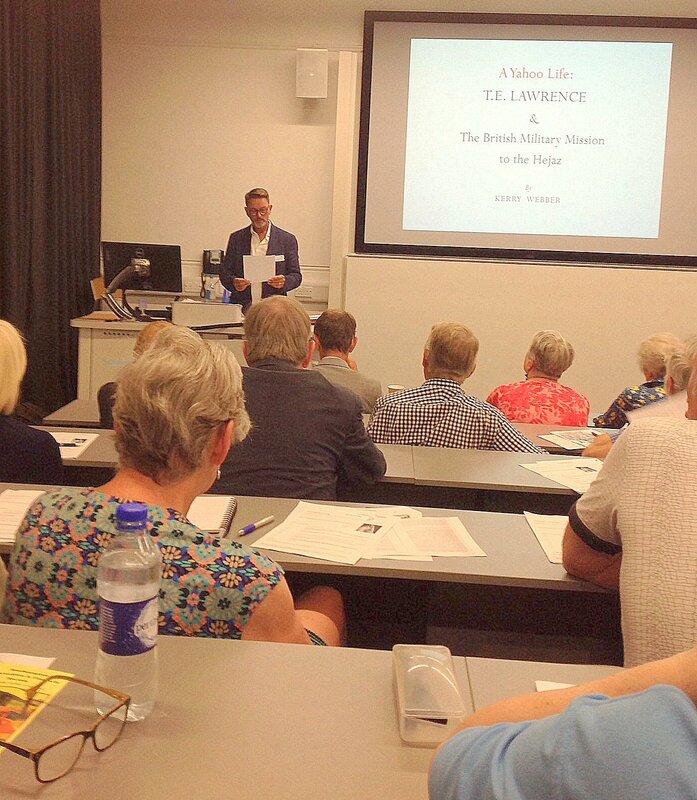 Aware of Lawrence’s self-imposed exile from the public gaze he promised to undertake ‘not to make any fuss of him’. With Lawrence’s workload and impending exit from the RAF it was unlikely he would put in an appearance, especially as his closest friends had been waiting patiently in line to catch a glimpse of the Mystery Man of Arabia, of Southampton, of Bridlington, of anywhere for a little while. With the copyright clause remaining unresolved, it was a letter to the Museum from a representative of the German educational publishing company, B.G. Teubner of Leipzig, which threw up the question of reproduction rights once again. 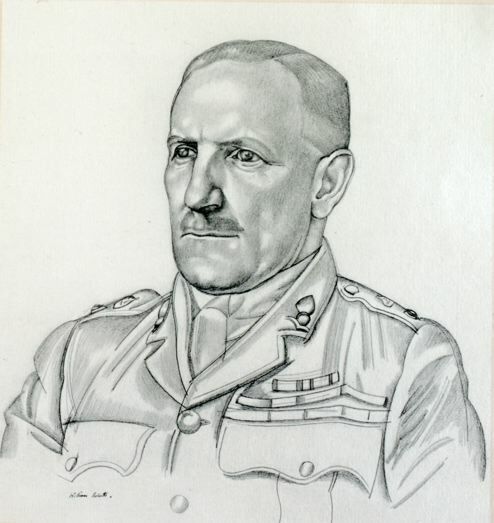 At the end of November, Teubner were seeking permission to obtain illustrations for use in their new edition of the short publication, ‘With Colonel Lawrence in the Arab Revolt’, first published in 1932. Johanna von Giehrl approached the Museum to seek permission from Lawrence through his intermediary Liddell Hart to reproduce up to six of his photographs. ‘We, of course, would be ready to pay a fee of the usual amount,’ she wrote. Anticipating problems, she asked if it was at least possible to obtain prints so that their own illustrator could use them to get some idea of desert scenery. Lawrence’s reply to Insall was quick and decisive: ‘I see no useful purpose in making it any more attractive for German children to read about my supposed exploits, and so I have asked Captain Liddell Hart to tell the lady that I do not wish any of my photographs to be used in the ways she suggests. Perhaps it will save further correspondence if you take this as my attitude in every case, without submission? I have no wish that anyone should use any of these photographs, at any rate during my lifetime. I regret their being ever shown to enquirers.’ It seems that Lawrence was having second thoughts. Liddell Hart, rising to his role as intermediary, wrote to the museum saying that he would contact Lawrence again to clarify the sticking point as he understood that the last thing the Museum wanted was to have a largely unusable goldmine on its hands, especially as Lawrence-related items had proven to be a big draw in the years following the Armistice. However, the problem would soon solve itself, although not in the manner Insall had imagined. On 13 May 1935, after enjoying an all too brief period of leisure, Lawrence flew over the handlebars of his powerful Brough motorbike after narrowly avoiding a full-scale collision with two errand boys on bicycles who he suddenly encountered upon entering a dip in the road leading to his cottage. He died six days later. The T.E. Lawrence Photographic Collection at the Imperial War Museum is a goldmine of images not just from the war in the desert but of Ottoman and Arabian life in general. Eighty years after it was first donated to the museum it continues to be a valuable resource for anyone interested in the history of the war and the fall of the Ottoman Empire, the development of the region and the preservation of its traditions and customs. Today the collection includes photographs taken not just by Lawrence but also by many of his colleagues, including Clayton, Newcombe and Garland, as well as professional photographers from Palestine and the American Colony Hotel in Jerusalem. Many of the images depict the fellowship of the revolt - what Lawrence described as ‘the sweep of the open places, the taste of the wide winds, the sunlight, and the hopes in which we worked’. In image after image there is depicted the morning freshness of the world-to-be, while history reminds us that there was a greater force waiting in the wings to thank them kindly and take their victory to remake in their own kind of peace, a peace that continues to echo down the ages with the message that ‘youth could win, but had not learned to keep: and was pitiably weak against age’. But even the peacemakers of 1919 could not have foreseen the future, nor control it if they had. The Imperial War Museum London is currently closed to visitors until 19 July 2014 when a transformed IWM London will reopen in time for the Centenary of the First World War. Research facilities remain open.